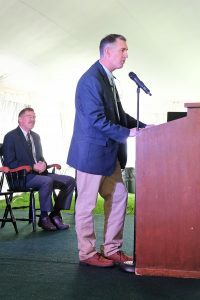 Emotions ran high, and tears mixed with levity and laughter as the entire campus community, alumni included, gathered under the tent to pay homage to competitors of the past and induct a select group into Williston’s Athletic Hall of Fame on May 12, 2017. Athletics Director Mark Conroy summarizes a successful Wildcat year. 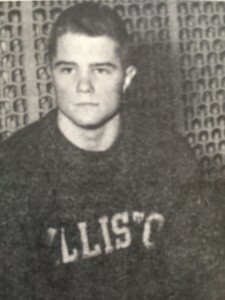 During his two years at Williston Academy, Jim Edwards was a 12x All-American swimmer in six different events (50, 100, 200, 400 free, 200 relay and 400 relay) while setting 10 national records. 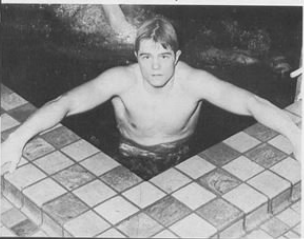 The yearbook went on to describe how Jim had “smashed” the national mark in the 100 free by .5 second, and took on Olympian Don Schollander during a competition between Williston and the Yale freshman. “Schollander, who later said it would take ‘two months to recover from that one,’ swam a 0:47.5 to Jim’s 0.47.6,” The Log noted. Twice voted New Hampshire Male Athletic of the Year, Jim appeared in Sports Illustrated, competed in the 1964 US Olympic Trials (missing the squad by 0.1 sec), and was a member of the AAU squad that competed in Germany in 1966, an event in which he finished third in the 100 Free and second in the 400 Medley Relay. While at the University of North Carolina, Jim set American records in the 110 free and the 4×220 relay, and a world record as the anchor of the 440-yard free relay. The Athletic Hall of Fame induction ceremony, dinner, and reception were held on Saturday, June 6, 2015. Jim Edward’s award was presented to him by Kevin Hoben ’65. 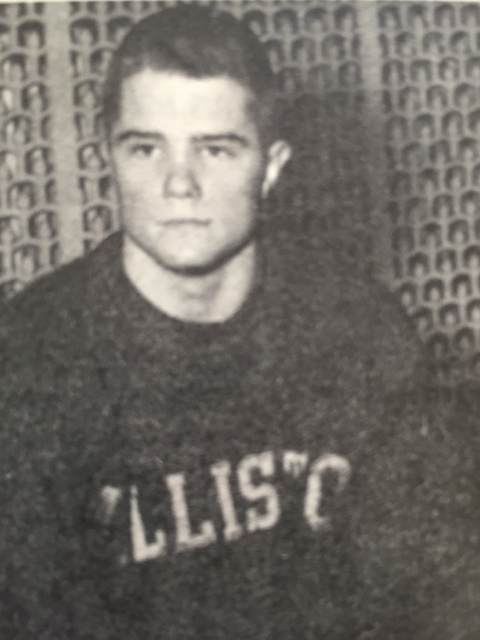 A three-sport athlete at Williston Academy, Harlow “Chip” Ide used his speed and competitive nature to excel on the gridiron, in the pool, and on the track. An All-American swimmer in the 50 Free, Chip helped set national prep school records in the medley relay, 200 free relay and 400 free relay. 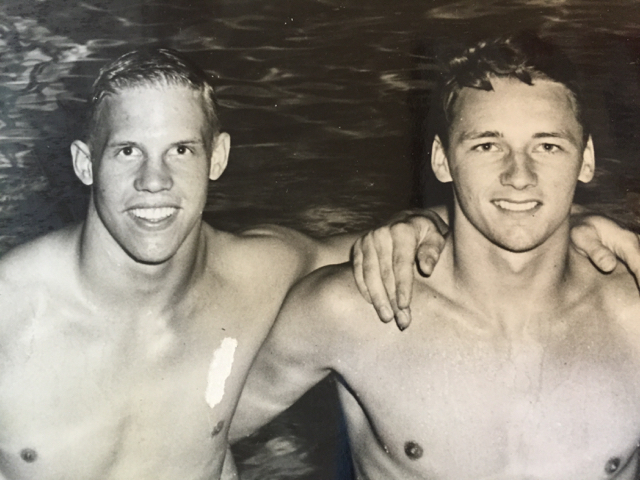 In 1954, he was a member of the 400 free relay team that placed fourth at the AAU National Championships. After his senior year at Williams College, he was presented with the Richardson Medal for the best swimmer. 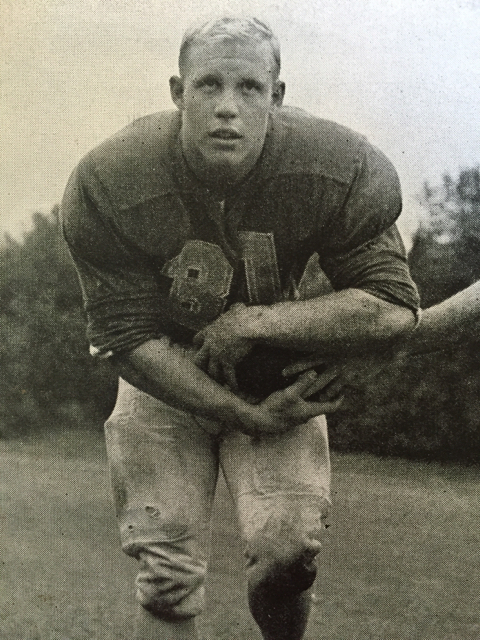 On the Williams football team, he averaged over 8.1 yards per carry, played in the 1959 All-America Bowl, and was honored with the Brooks Memorial Medal, given to the best small college halfback in the East. The Athletic Hall of Fame induction ceremony, dinner, and reception was held on Saturday, June 6, 2015. Chip Ide’s award was presented to him by Joel Schiavone ’54. The 1992 boys golf team started a mini-dynasty at Williston Northampton by going 15-1 under the leadership of longtime faculty member Bob Blanchette. 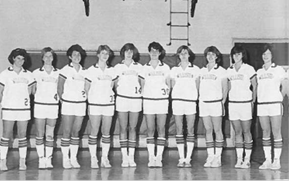 That year, the team had wins over Loomis Chaffee, Northfield Mount Hermon, the Williams College junior varsity team, Deerfield, Choate, and Suffield. With captains Jeff Brunelle ’92 and John Swierzewski ‘92, the team won the prestigious Kingswood Invitational Tournament (the New England championship) with an impressive score of 407. Jeff Brunelle led the way by medaling with a 74. Following graduation, the team travelled south to take on top prep schools in the Eastern Seaboard Championships, where they took home the title in the 3-Man Division with a final score of 475. Team members included seniors Brunelle, Swierzewski, junior Greg Knight, and sophomores Paul Burns, Chris Shields and Aaron Uschmann. On June 6, at the official Athletic Hall of Fame induction ceremony, the boys golf team award will be accepted by Jeff Brunelle ’92. A phenomenal athlete with a love of music, Tony Lavelli came to Williston Academy as a post-graduate. 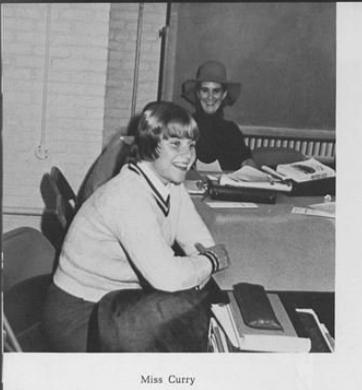 He was elected captain of the varsity basketball team and led the team to a 14-0 record, scoring 307 points out of the team’s 672 total, before moving to tennis in the spring. At Yale University, Tony scored 1,970 points (a school record that stood for 35 years) and, in his senior year, led the nation in (averaging 22.4 points per game). Tony was the number four overall pick of the Boston Celtics in the 1949 NBA draft. In his rookie year, he averaged 8.8 points per game; he was traded to the NY Knicks the following year. 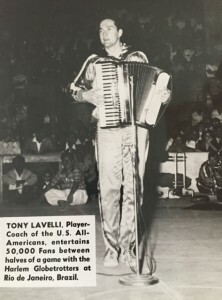 Tony had a great love of music, so he had it written into his contracts with the Celtics and Knicks that he could play the accordion at halftime to entertain the crowds. After his first year with the Knicks, he quit the NBA to pursue a career in music at The Juilliard School. Tony then returned to play for the Harlem Globetrotters, where be was named captain of the College All-Star team and the Globetrotters musical director. Tony went on to release two albums and had a long career as a songwriter and musician. 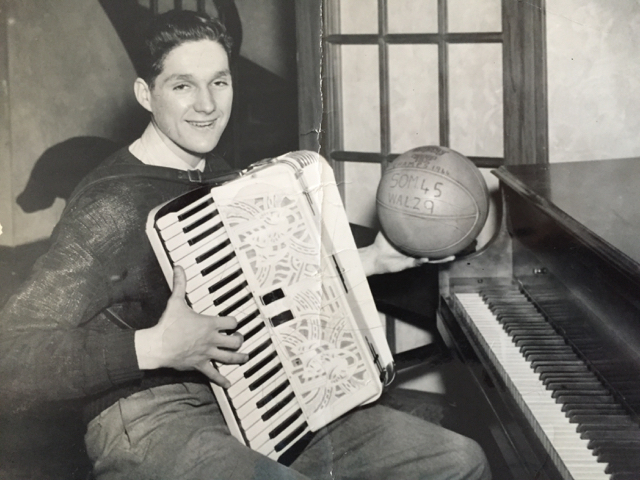 In a March 1949 issue of Sport Life Magazine, Anthony “Tony” Lavelli ’45, who as trained as a musician, was described as having taken up basketball for relaxation—a nice break from his musical training. The Athletic Hall of Fame induction ceremony, dinner, and reception was held on Saturday, June 6, 2015. Tony was the Veteran’s Committee selection for the 2015 Athletic Hall of Fame. His award was presented by Jake Ross ‘16 and accepted by his sister, Ginny Lovett. 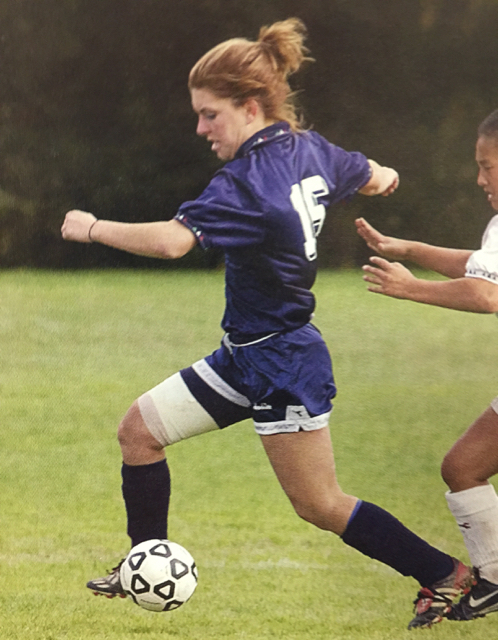 They would win New England championships, set school records—and national ones—and go on to play at Yale, Columbia, Boston College, or Williams College. They would be given such titles as best small college halfback in the East, Massachusetts Player of the Year, or Eastern Seaboard Champions and would compete at the U.S. Olympic Trials, with the Harlem Globetrotters, and with the New England Mutiny. 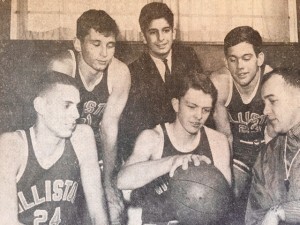 On Saturday, June 6, these five outstanding athletes, two amazing teams, and one beloved coach will garner one more honor: as inductees to the Williston Northampton School Athletic Hall of Fame. The fourth class of athletic superstars will include pro basketball player Anthony “Tony” Lavelli ’45; the 1986 girls basketball team; the 1992 boys golf team; pro soccer player Katie Coffey ’04; All-American swimmer and football player Harlow “Chip” Ide Jr. ’55; All-American basketball player Roger Walaszek ’65; record-setting swimmer Jim Edwards ’65; and Coach Sue Curry Barnett. Even while they were students, the athletes earned praise from their peers. That admiration can perhaps best be summed up by a description the 1945 student yearbook of “the greatest team in Williston’s basketball history” and the special player who made that possible. The inductees were nominated by their friends, families, classmates, and teammates and then chosen by a Selection Committee. Nominations are now being accepted for next year’s Athletic Hall of Fame here. Eligible nominees who were not chosen this year will be automatically added to the list of candidates for next year.